Partners: Centre for Culture, Ethnicity & Health (CEH), Barwon Health and Diversitat. 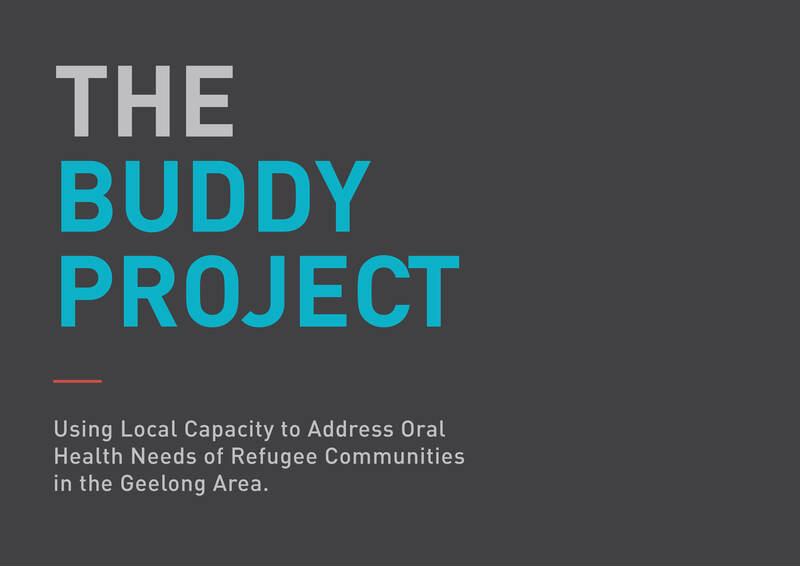 The project worked with communities were in the Geelong area and included the Karen, Afghan and Congolese communities over a two year period from 2014-2015. 1. Increase access to oral health care services in three communities in the Geelong area over 2 years. 2. Influence behaviour and practice change in three communities accessing oral health services in the Geelong area over 2 years. We recruited mentors from the communities and matched them with mentees from the same community. Mentees were community members who had been living in Australia from six months to five years. The Buddy Project provided a structured program of events for mentors, mentees and other community members, which were facilitated by CEH and held at Diversitat. Mentors were required to attend six two or three hour evening sessions during the course of the project in which they received training in basic everyday oral health care and the oral health service system. Mentors were required to visit mentees in their homes five times for one hour per visit, in which they were instructed to use a handbook developed for the project as a guide of topics to cover at each visit.